“My freshman year, Bella was our Miracle Child. I had never been involved in Dance Marathon before. I had attended a few events, I was registered to dance, but I really had no idea what it was all about. Bella and her family had come to the Delta Gamma house for dinner, and they had recently been talking about Bella taking her first steps… how they were getting so close, and that this was so exciting, because they had always been told she wouldn’t be able to walk. In the living room after dinner, Taylor (our Dance Marathon Delegate for Delta Gamma) and Krystina (Bella’s mom) were helping Bella practice. She stood up, ran a few steps, and the room went really quiet. She stopped, and then she took a few more steps from Taylor and into Krystina’s arms for the first time. Everyone was crying and screaming and laughing, and Bella just had no idea what was going on or why people were so excited for her. She just stood there smiling. It was so amazing to see the look on Krystina’s face. Bella had never been able to do that, and was under the impression that she might go her whole life unable to do so. 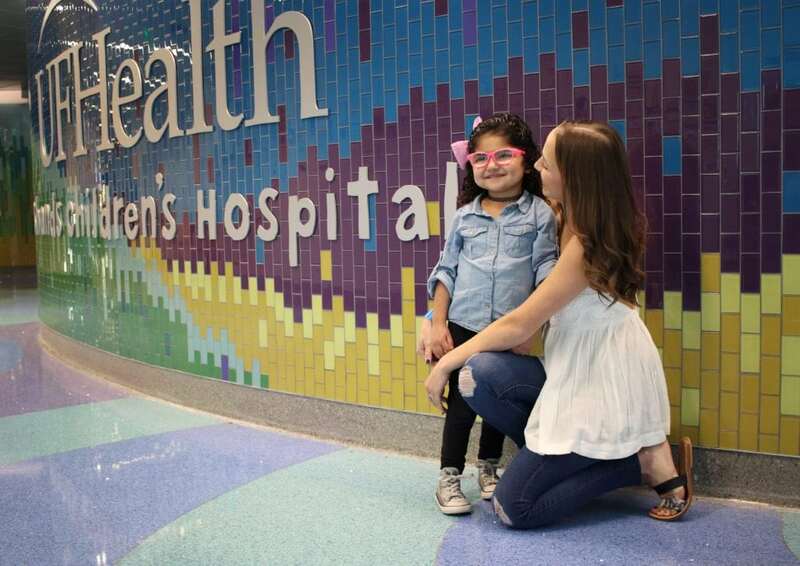 Want to help kids like Bella at your local Children’s Miracle Network Hospital? Click here to learn more. Miracles in Motion tells the inspiring stories of our pediatric patient families, clinicians and staff members in their everyday lives. These moments are what make UF Health Shands Children’s Hospital​ such a special place to the more than 150,000 patient families treated here each year. Follow along to learn more about these stories and how Children’s Miracle Network Hospitals​ makes even the most ordinary moments extraordinary.